My niece got 15 years old last month, got some money, and is thinking hard about how to spend it. She is down to two alternatives now (may change without warning, see her age given above): one is an extensive journey to southern Africa (Namibia, I think.) 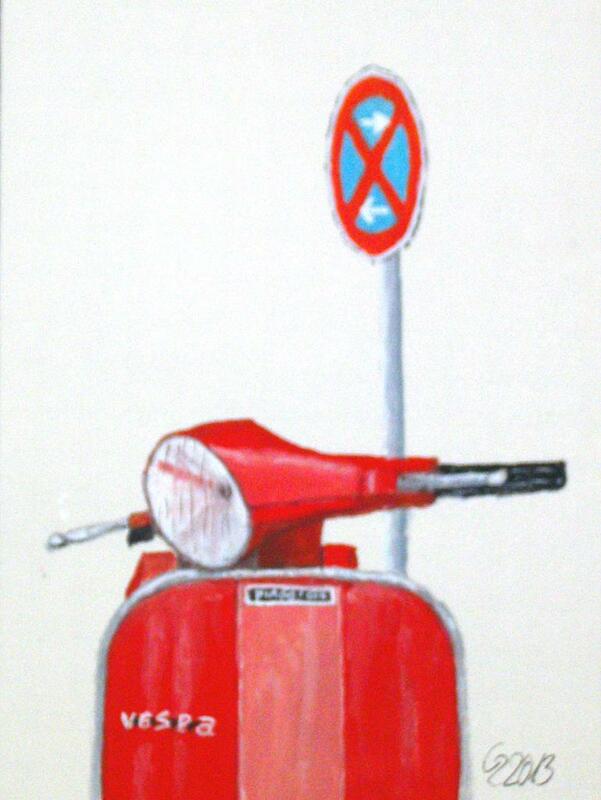 and the other one is a scooter. This entry was posted in Art, Guache and tagged Guache, Should Have Used A Scanner Instead, Small Format on 2013/02/27 by deamentiaemundi. 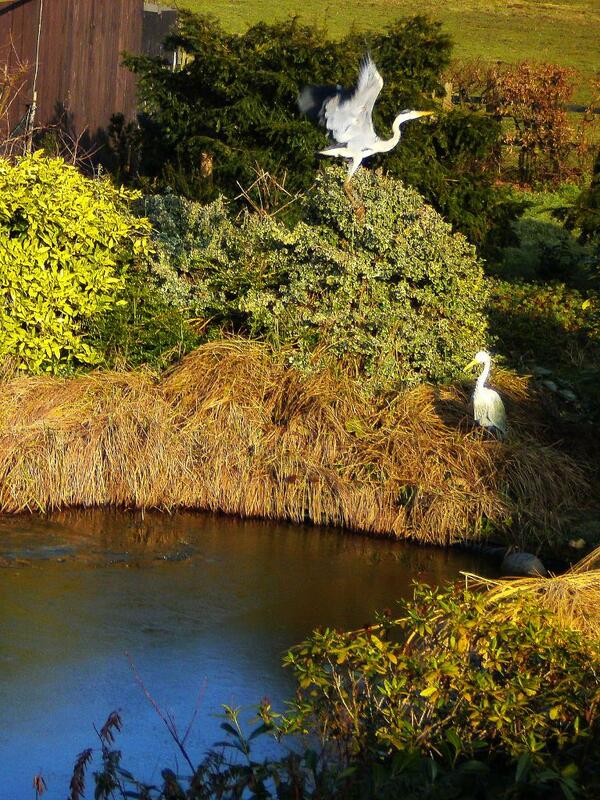 The Grey Heron (Ardea cinerea cinerea), one of the paint strippers of nature. Another curious detail: the grey hero was a migratory bird here (it is not everywhere) for a long time but stayed an increasingly longer time in autumn and came back earlier every spring. This year is the first year when I saw them regularly over the full winter. 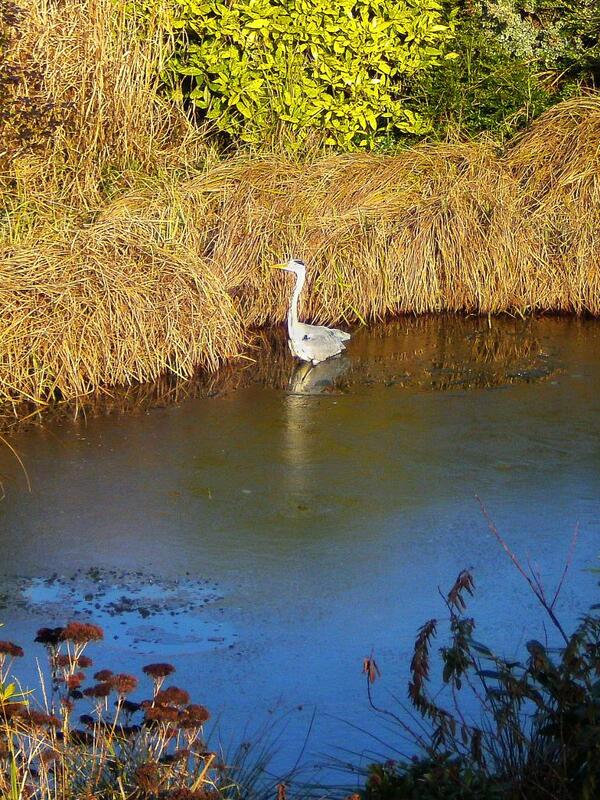 This entry was posted in Evolution, Flora & Fauna and tagged Ardea cinerea, Global Warming, Goldfish, Grey Heron, Natural Selection on 2013/02/18 by deamentiaemundi. Yes, I know, I know…but still: some of the goobledygooknomenclatural in technical jargons make me shake my head in sheer unbelieve! The word apern is the verb used for the thawing of snow in the Upper-German dialects (e.g. : Swiss-german, Austrian, etc. ); ausgeapert names the state of something formerly covered by snow like the stones in the picture above or the body of a mountain climber in spring. 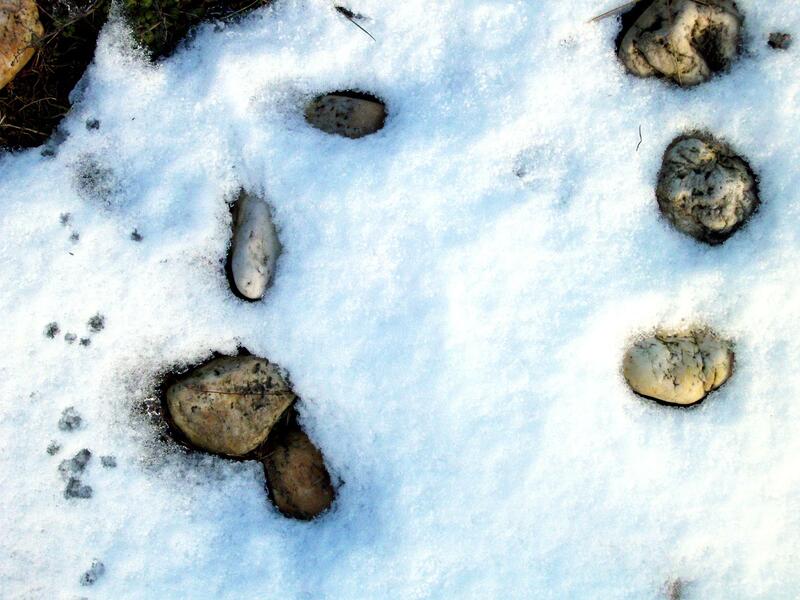 This entry was posted in Winter and tagged Linguistics, Rocks, Snow on 2013/02/10 by deamentiaemundi. Yep, that is a fleck of snow in the foreground. 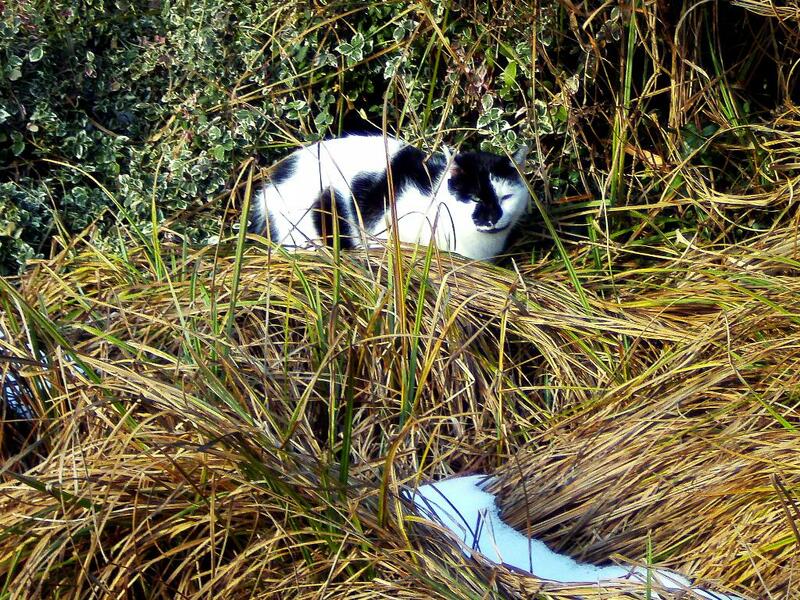 This entry was posted in Flora & Fauna and tagged Cats, Snow, Sunbath, Winter on 2013/02/10 by deamentiaemundi. Yes, that little! It caused a nearly full standstill on the streets. 660 km of traffic jam in an area about the size of the state of New Jersey (USA) and only a slightly higher population. They blamed the weather report, of course, because they were not able to predict the area of snowfall down to the single kilometer in a considerably chaotic atmosphere with several high and low pressure areas lying in horizontal and vertical juxtaposition— it was quite some mess up there. This entry was posted in Weather, Winter and tagged Chaos, Eddy, Snow, Traffic on 2013/02/08 by deamentiaemundi.